I've just read an article about a supposed "surge" in the drinking of fruit beer in Britain. The opening sentence claims that "The traditional pint is being given a run for its money by continental-style fruit and spirit-flavoured beers, enjoyed by consumers as a thirst-quenching summer drink or to inspire imaginative pairing with food." By "the traditional pint", I assume she means cask beer. Is it really "being given a run for its money" or is this just another example of journalistic hype? Perhaps tellingly, there are no figures given for the actual volumes of fruit beer being drunk but it's surely nowhere near the approximately two and a half million barrels (more than seven hundred million pints) of cask beer consumed annually. In fact, apart from the bottled Belgian fruit beers in their attractive paper wrapping you see in supermarkets and a couple of specialist beer bars that have them on draught, you could go to a lot of pubs and never see one. Like "craft keg", fruit beer is a niche product that appeals mostly to beer bloggers, journalists and writers rather than the everyday drinker. I suspect that the journalist who wrote this piece is basing her claims on what her friends are drinking in some trendy North London pub or on a corporate press release. 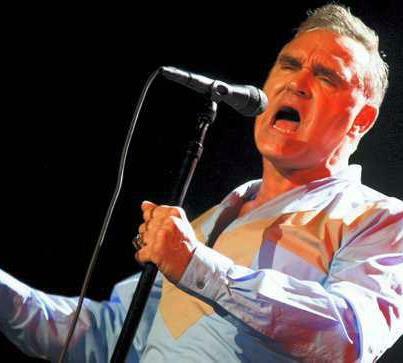 I went to the Manchester Arena on Saturday night to see Morrissey. I can't quite imagine seeing Morrissey anywhere but Manchester given his connection with the hometown crowd and witty barbs directed at his native city. The setlist might have been tilted towards his more recent material and the latest backing band haven't quite got their chops together yet on Smiths classics but Morrissey can still deliver wonderfully anthemic, sing along to every word performances, whether with How Soon is Now or the sublimely melancholic Everyday is Like Sunday. As a Mancunian of working-class Irish Catholic descent, I'm genetically, culturally and geographically predisposed to be a fan of Morrissey and The Smiths. As a teenager in the mid-1980's, The Smiths provided a soundtrack to what was still very visibly a post-industrial city. The photo of them in Manchester's derelict Central Station summed up the city's decline in the early years of Thatcherism (a few years back, I saw Morrissey perform there, now redeveloped as a convention centre). It's both heartening and intriguing to see teenagers at gigs now who clearly feel the same connection to his music. I was in a pub in Mossley the other week which sells Manchester eggs. They're like a Scotch egg but with black pudding. You can only buy this snack in a couple of other pubs in Manchester so I decided I'd have a go at making some myself. I tweaked the recipe in a couple of ways: I thought the pickled egg was a bit of a sharp taste so just used hard-boiled ones and I also used flour rather than egg wash for the breadcrumbs which I probably wouldn't do next time. So anyway, here's a recipe that you won't find in Delia Smith, Nigella Lawson or any of those other fancy Southern cook books. Remove skin from sausage and black pudding and mix together in bowl with a fork. Make into a ball before flattening it into a circle about half an inch thick. Place hard-boiled egg in middle and wrap sausage and black pudding around it before coating with breadcrumbs. Most people deep fry them but I just cooked them in the oven at 200°C for half an hour and they turned out fine. If you're lucky enough to live in the North West, I recommend buying the ingredients from Tittertons, Stockport's premier provider of pork products, but if not any butcher's shop that makes their own sausages and black pudding. The news that beer sales dropped in the second quarter of the year by nearly five and a half per cent has prompted the British Beer and Pub Association, the trade body representing brewers and pub companies, to call again for the automatic increase in beer duty in each year's Budget to be scrapped. I agree that the escalator as it's called should be scrapped but not for the same reasons as the BBPA. I'm in favour of cutting and eventually removing all tax on beer for three reasons: like all indirect taxes, it hits people on lower incomes more than people on higher incomes; it does that even more on people with an alcohol problem without helping them; it would make beer cheaper for social drinkers like me. The BBPA argues that increases in beer duty mean job losses in breweries and pubs closing. I'm not sure either of those things is true. I'd like to see some evidence of a link, especially on the latter which is now accepted as an obvious fact by most people. I watched a BBC Arena documentary last night to mark the anniversary of the death of Amy Winehouse, consisting of a performance and interview she did in Dingle in the far south-west of Ireland in 2006. I remember the first time I heard Amy Winehouse, about the same time, when Rehab came on a pub jukebox. I thought it was a sixties soul record at first and was surprised when I realised it was actually a current hit. In the interview, Amy talked about the musicians who had influenced her, some of them fairly obvious like Ray Charles but also unexpected ones such as Thelonious Monk. One of the saddest things I've read about Amy is Tony Bennett, who recorded a duet with her just before death, saying that he thinks she knew that she wasn't going to survive much longer. Towards the end of her life, she had apparently overcome her drug addictions but was still struggling with the alcoholism that would ultimately kill her. Watching the interview in which she comes over as both thoughtful and fun, it's hard to accept that she's no longer with us. Rest in peace Amy. The mass shooting at a cinema in Colorado has inevitably sparked comparisons in the British media between our murder rate and gun laws and those in the United States. I find a lot of the analysis unconvincing. I'm not saying that everyone should be able to walk around with thousands of rounds, as it appears the killer in Colorado did, but I do have sympathy with those who say it would have been better if some of the audience in the cinema had been carrying firearms. Some people also seem to think that America's higher murder rate is solely because of its gun laws and ignore social conditions. America is scarred by poverty, inequality, racism and a lack of access to housing, health care and education. It's hardly surprising that it has a high murder rate. Tightening up gun laws might reduce mass shootings like last week's but wouldn't remove the roots of violence that lead some people to kill. Switzerland with its high standards of living and social provision, and where miltary reservists keep automatic weapons and ammunition at home, has low gun crime and murder rates. Britain's gun laws are relatively recent. Up until the 1903 Pistols Act, anyone could buy a gun and until 1920 carry it without a firearms licence. Gun laws are almost always brought in in times of industrial or social conflict. Before the First World War, striking Welsh miners defended themselves against the police with legally-held weapons, just as miners in West Virginia in the 1920's and 1970's and the Black Panthers in the 1960's did. It would of course be better if no one carried a gun. If you say that some people - such as the police - should be able to carry guns but not others, you're basically saying that you trust them not to misuse their firearms. I don't. Incidents like Dunblane, Hungerford and the Cumbrian shootings show that even relatively tight gun laws won't stop people intent on mass murder getting their hands on weapons but do leave unarmed victims without the means to defend themselves. As William S. Burroughs said, "After a shooting spree, they always want to take the guns away from the people who didn't do it. I sure as hell wouldn't want to live in a society where the only people allowed guns are the police and the military." I watched the final stage of the Tour de France yesterday afternoon. I don't really follow cycling and haven't watched any of the other stages. I watched mainly because it promised to be a bit of sports history, an Englishman winning the world's most famous cycling race for the first time. Bradley Wiggins is also a Mod and indie fan who lives in the North West and trains in the hills of Lancashire and at Manchester velodrome. Reading up on the history of the Tour de France, I found this article about how it began in 1903 as a result of the Dreyfus Affair, the imprisonment of a Jewish army officer for espionage that divided France and increased anti-semitism and nationalism on one side and radicalism and anti-clericalism on the other. The car manufacturer Jules-Albert de Dion, an anti-Dreyfusard, joined other industrialists outraged at the pro-Dreyfus stance of France's leading sports newspaper Le Vélo in setting up a rival publication, now L'Équipe, which sponsored the first race. The final stage of the Tour goes through some rather pretty countryside. I've been to France but not Paris. If the aerial shots of the gardens at Versailles are anything to go by, they'd be top of my list of places to see if I'm ever there. I was amused to read this morning that a Kent vineyard has won an international award...for its beer. 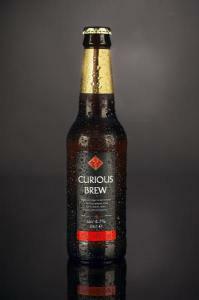 The Chapel Down vineyard won a gold medal at the International Beer Challenge for its Curious Brew premium lager which is brewed with Saaz and Cascade hops and fermented with champagne yeast. English winemakers may see Kent with its warm climate and proximity to France as their spiritual home but it's also the closest county to Flanders from where brewers are first thought to have imported hops in the late fourteenth century. "Kent, sir - everybody knows Kent - apples, cherries, hops and women" as Charles Dickens put it in The Pickwick Papers. A report by the House of Commons Health Select Committee argues that "serious consideration" should be given to banning alcohol advertising and the sponsorship of sporting events by drinks companies who it accuses of claiming "that advertising messages have no effect on public attitudes to alcohol or on consumption." This is the same flawed logic that led to the ban on tobacco advertising. No one starts smoking or drinking because of an advert on TV or because a football team or Test side is sponsored by a brewery. The point of advertising is to create brand awareness/loyalty among people already buying or about to start buying your product rather than to stimulate consumption across the industry. The idea that banning the advertising of alcohol or the sponsorship of sport by alcohol companies will stop people drinking is as ludicrous as the idea that the ban on tobacco advertising and sponsorship has had any impact on the number of people who smoke. I was reading a poll yesterday about what people think are reasonable grounds for being refused entry to a pub. 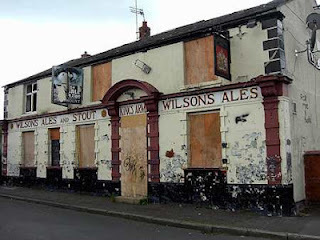 The poll underlines the tensions implied in the term "public house". 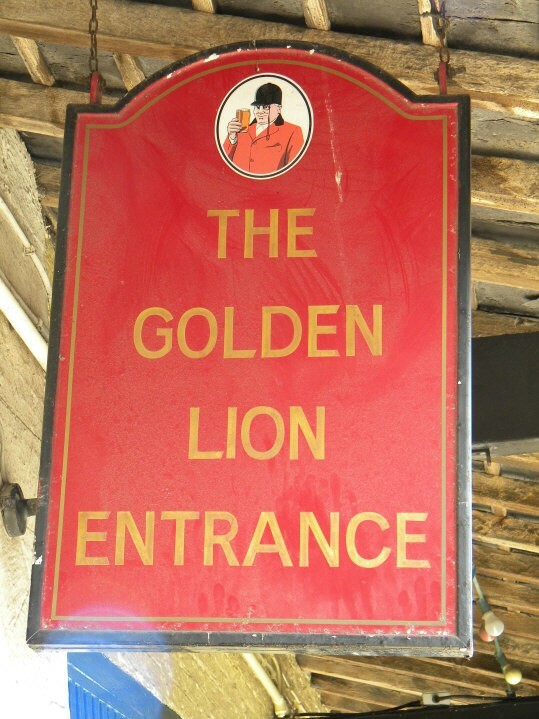 Unlike bars or nightclubs, pubs are usually someone's home. Although open to the public, they're not the same as a railway station or a shop, or being invited to someone's home. They're in a gap between all those things, although some are clearly closer to drinking in someone's front room and others to being in a hotel. The results of the poll are interesting for a couple of reasons. Some of the grounds people think are reasonable seem - and I know it's a small sample - a bit arbitrary, with a surprisingly high number of votes for example for "Men wearing shorts." The list also misses out some of the most common reasons for being refused entry to licensed premises, namely wearing football colours, being part of a stag/hen party or not conforming to a "no jeans, T-shirt or trainers" dress code. I was listening to a policeman on Radio 4's Today programme before, talking about G4S and their completely predictable failure to provide sufficient security staff for the Olympic Games. Every other sentence was "going forward", "working with our partners", "rolling out". As George Orwell wrote in Politics and the English Language, "political speech and writing are largely the defence of the indefensible...Thus political language has to consist largely of euphemism, question-begging and sheer cloudy vagueness." Meaningless corporate speak is everywhere. I don't think it's consciously learnt or adopted, just picked up by people to fit into an organisation. I had a manager when I worked in the civil service who spoke almost entirely in this language, she was forever "touching base", "cascading information" and "flagging up". In meetings, we'd sit on the front row, notepads on our knees, listening intently. She thought we were hanging on her every word, which we were but only because of the buzzword bingo game we were playing. The way to deal with this kind of language is to act dumb and pretend you don't understand. When the manager in the civil service once told us that she'd "touch base again next week", one of my colleagues asked her if that meant she'd be coming to see us again and, somewhat thrown, she replied, "Er, yes". Not quite as bad as corporate speak but equally infectious it seems is what's variously called up-speak, high-rising terminal or Australian Question Intonation, that is the compulsion to go up at the end of every sentence. It doesn't obscure meaning like corporate speak does but it's quite distracting once you start noticing it. I don't know what can be done to combat it although some people suggest that you should treat every statement made in AQI as a question and answer it. The solution to my very least favourite thing - people on the platform crowding up against the doors when you're trying to get off a train - is simple: guards armed with electric cattle prods. I'm reading A Bottle of Guinness Please by David Hughes at the moment, about the famous Dublin brewery. I was tipped off about it by Martyn Cornell on his Zythophile blog. As he says, it's got more information and illustrations than you could possibly need and the only real problem is the lack of an index. One of the most interesting sections for me is the introduction in which Hughes recalls his time as an underbrewer at the Park Royal Brewery in West London in the early seventies. 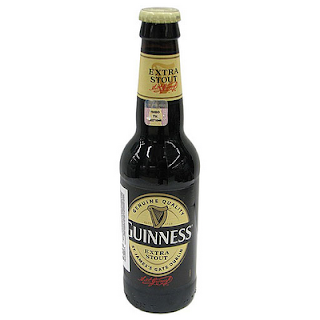 Guinness opened Park Royal in 1936 to get round tariffs imposed by the British government as part of the trade war with De Valera's Ireland and brewed there until 2005. As well as the excitement of being responsible for operating the brewery, Hughes remembers the daily beer allowance being increased the more people drank and the head brewer only drinking bottle-conditioned Extra Stout rather than Draught Guinness. There are some photos of Park Royal just before it was knocked down here. Today is the centenary of the birth of the American folk singer Woody Guthrie. Guthrie was born in Okemah, Oklahoma; he died in 1967 in a New York psychiatric hospital where he had been confined for many years with Huntington's chorea, an inherited degenerative condition. Guthrie is the epitome of the American rebel, the little guy standing up to the rich and powerful, but in politics, like fellow folk singer Pete Seeger, he stuck closely to the line of the US Communist Party that they both supported. Seeger's song lyrics in World War II changed every time the CP twisted and turned, from C for Conscription ("Well it's C for Conscription/C for Capitol Hill....That passed that goddamn bill....I'd rather be here home/ Even sleeping in a holler log/Than go to the army/And be treated like a dirty dog!") during the Nazi-Soviet Pact to Deliver the Goods ("We're working in the cities, we're working in the woods/We'll all work together to deliver the goods/I got a new job and I'm working overtime/Turning out tanks on the assembly line/Got to crank up the factories like the president said/Damn the torpedoes, full speed ahead.") after the German invasion of Russia in 1941. A lot of people know about Guthrie through Billy Bragg's recordings of his unpublished lyrics or Bob Dylan's Song to Woody on his eponymous first album ("Hey, hey, Woody Guthrie, I wrote you a song/ ’Bout a funny ol’ world that’s a-comin’ along/Seems it's sick an’ it’s hungry, it’s tired an’ it’s torn/ It looks like it’s a-dyin’ an’ it’s hardly been born") but I first heard him on a BBC2 Arena documentary in the late 80's presented by Alan Yentob. Not long after that, a General Studies teacher at school who was into blues and folk played us some more of his songs, as well as one by the Mississippi blues pioneer Charlie Patton. Guthrie is probably best known in the US for writing This Land is Your Land, in response to Irving Berlin's God Bless America which he hated. Radio 4 has a programme about Woody tonight, presented by his biographer Joe Klein. On my last night in Bamberg, I went back to Brauerei Spezial and sat in the tap room. Spezial Rauchbier doesn't quite have the smack yoru ound the chops smokiness of Schlenkerla. It's a bit more restrained and subtle with just a hint of smoked malt in the beer, but an enjoyable tang nonetheless. I thought the Rauch Lagerbier a touch smokier than the Märzen but maybe that's because it's dispensed by gravity from a wooden barrel rather than from a bottle. Spezial also does cheap, tasty food, like the Leberkäse mit Kartoffelsalat (meatloaf and potato salad) I had. It seems like a locals' pub with tables of customers loudly playing cards. The next morning, with the other day's rail problems in mind, I was at Bamberg station just after seven. The train from Sonneberg was of course bang on time, sailing through Hirschaid and Forchheim to Nuremberg Hauptbahnhof where the U-Bahn whisked me efficiently to the airport three hours before my flight. I was quite happy though sitting at the snack bar in the departures lounge which sells Bratwurst and bottles of Kapuziner Weißbier. Forchheim is a small, pretty mediaeval town between Bamberg and Nuremberg. I'd planned to spend a couple of hours there before heading back to Bamberg. It didn't quite work out like that. Having looked at a map beforehand, I was pleasantly surprised at how straightforward and relatively short the walk from Forchheim station to the Altstadt is. I only had to stop once to check in my best schoolboy German that I was going the right way. Forchheim is a bit like Bamberg, but on a smaller scale: half-timbered buildings, fast-flowing river, mediaeval town hall and four brewery taps, a couple of them next to each on Sattlertorstrasse. Being another hot day, I was mopping the sweat from my brow and in need of refreshment by the time I got to Brauerei Hebendanz. The inside of Hebendanz is more modern than the exterior suggests but I quite like the pine look. I'm not sure which Hebendanz beer I drank: as soon as I'd seated myself in the tap room, the landlord called over "Ein Bier?" and I was more concerned to get a drink than to ask questions. It was pale, from a keg, low in carbonation and fairly hoppy. It was also the first beer I've drunk out of a Steinkrug and it did what it's supposed to, keep the beer cool. Much as I like Smokey Robinson, the Tempations and Four Tops, a Motown compilation tape playing in a Franconian pub was a bit surreal though. Refreshed and stopping only to take a photo of the Rathaus, I headed back to the station. This is where things started to go wrong. To be fair to Deutsche Bahn, it wasn't actually their fault. A burning gas canister on a building site near Eggolsheim had closed the motorway and railway line to Bamberg. Soon the handful of people on Forchheim station on a weekday afternoon was joined by another hundred or so as the high-speed ICE train between Nuremberg and Würzburg came to an unexpected halt there. No wonder the woman in the information kiosk locked the door and put up the closed sign. After a mere two and a half hours in the sweltering heat outside Forchheim station, a rail replacement bus turned up to take the sweaty throng to Hirschaid where a train to Bamberg was waiting for us. The staff at Forchheim station clearly don't have the experience the ones at Manchester Piccadilly do in organising a replacement service when things go wrong. By the time I'd got back to my hotel in Bamberg and after a much-needed shower, it was time to go to the pub for the evening. On the upside though, the coach trip from Forchheim to Hirschaid had been through some very pretty Franconian villages and countryside that I wouldn't otherwise have seen. The day dawned warm and sunny on my first morning in Bamberg. After a short stroll along the Regnitz, a brief attempt to climb Michaelsberg (quickly abandoned when I realised the steepness of the hill), a look round Bamberg Cathedral and jostling my way through the tour parties to take the obligatory photo of the Altes Rathaus, I'd worked up quite a thirst. With the clocks striking noon, it was time to head to Schlenkerla. Schlenkerla is Bamberg's best known pub and its Aecht Schlenkerla Rauchbier Märzen is often held up as the classic example of the style. I've drunk and enjoyed it in bottles before but this was the first time I'd drunk the draught beer. I'd been looking forward to it and wasn't disappointed. The first swig is like the smokiest bacon you've ever eaten. I can't quite get my head round why lots of people don't like it but then smoky bacon has always been my favourite flavour of crisps. I think it's something psychological about the smell of burning wood. Given it dates from the 1300's, it's no surprise that Schlenkerla has one of the most historic atmospheres of the pubs in Bamberg, although it's obviously been knocked about - and indeed through - a bit in that time. The tap room where I sat has the classic combination of wooden barrel on the bar, a low roof and dark timber. I first saw Schlenkerla when Michael Jackson filmed there for his TV series Beer Hunter in the 1980's. As he said, the claim that you need to drink six or seven glasses of Rauchbier before you'll enjoy the taste is just a canny country way of getting you to drink more. Now I just need to get my head around Schlenkerla Rauchweizen, their smoked wheat beer. To paraphrase Goethe's description of his arrival in another island city, it was written on my page in the Book of Fate to drink my first Franconian beer at Brauerei Fässla in Bamberg. Fässla is a long pub with a stone-paved drinking corridor as you go in and a tap room to the side which is where I seated myself. I already knew that the wooden barrels on the bar were fakes concealing keg taps but they still looked quite impressive nonetheless. The tap room was dotted with rural looking locals who reminded me of the scene in the opening chapter of The Castle by Franz Kafka when K. arrives at the village inn where "Einige Bauern waren noch beim Bier" ("Some farmers were still sitting over their beer"). The closing time of eleven o'clock came and went without anyone making to leave and the bar still serving. Rather than the draught Lagerbier, I tried a bottle of Zwergla. It's described as a Dunkles Märzen but is more dark amber and quite hoppy, a bit like an English best bitter I thought. People who know me will tell you that I like to arrive early, whether for planes, trains or events. Sometimes, if there are delays en route, this means I arrive bang on time; most of the time though, it means hanging around at airports and train stations or in pubs. Flying from Manchester to Nuremberg last week, I had three and a half hours between planes in Düsseldorf. Just enough time then for a quick trip to the Alstadt. On the plane, I had been mentally working out how long it would take between landing and sitting in Zum Uerige with a glass of Alt in front of me. I knew that the train journey from the airport to the Hauptbahnhof is about fifteen minutes and that from there it's only a couple of stops on the U-Bahn to Heinrich Heine Allee. The answer in the end was forty-two minutes. Zum Uerige is probably my favourite pub in Düsseldorf. The beer is as good as my other favourite Alt, Füchschen, and the service is the standard Rhineland method of filling up a tray of small glasses by gravity from a wooden barrel and then going round the pub depositing them on customers' beer mats and adding a pencil mark. What sets Zum Uerige apart is the ambience, especially in the cosy tap room where I sat. I also like the standing drinking corridor where they chalk your beers up on the wall and the fact that the Rhine is at the end of the street. After a few glasses of Uerige Alt, it was time to head back to the airport for the flight to Nuremberg I'd already checked in for, cutting it fine for me by arriving only an hour before the gate opened.